Local writers are encouraged to apply to Screenworks for the opportunity to be placed inside the writing room of one of Australia’s major screen production companies. Now in its second year, Inside the Writers Room is designed to give up to four participants the unique opportunity to participate in a dynamic professional writers room environment and experience the development of a television script. 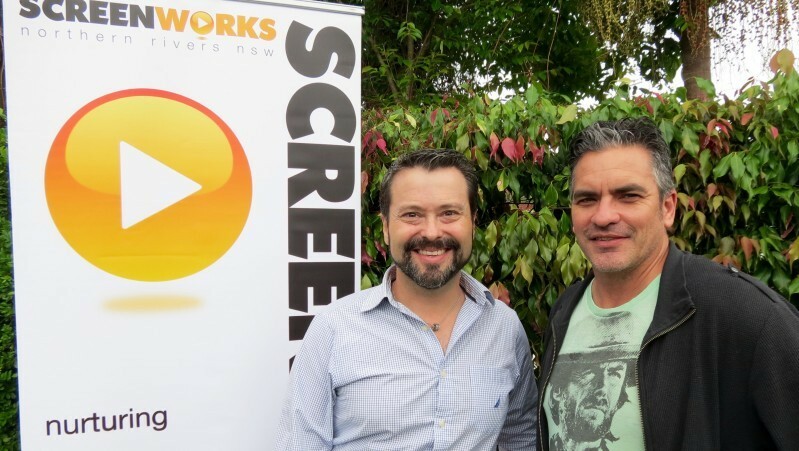 ‘After the success of the Inside the Writers Room pilot program this year, we are over the moon to have received second year funding to run this program again in 2016’ says Screenworks General Manager, Ken Crouch. The program is designed to help regionally-based emerging writers understand writers room best practice and create connections between local content creators and established production companies in Australia. Ambience Entertainment (Tomorrow When The War Began). One of the Inside the Writers Room participants that took part in the program this year, Jonathan Gilbert, described his involvement in the program as being invaluable. “Inside the Writers Room was an amazing opportunity to witness some of Australia’s top television writers at work. It was a great opportunity also to create connections with industry professionals and begin an ongoing relationship that I hope will ultimately lead to me evolving into a fully fledged and respected writer myself” explained Jonathan. “With more and more international content being easily accessible, it is critical that our productions are world class and they won’t be without world class writers. Our industry really needs to focus on the development of great writers and programs such as Inside The Writers Room are an important part of this process. Not enough writers are given these types of opportunities, particularly in regional areas” explained Jungleboys Managing Director, Jason Burrows. Returning for the second year of the program is Matchbox Pictures. “Connecting with new writing talent has always been such and important and rewarding part of our business. Screenworks’ Inside the Writers Room program has been a fantastic way to meet talented new writers and provide them with real world experience” said Debbie Lee, Matchbox Pictures’ Director Scripted Development. The writers room is best described as the ‘collective brain’ of a TV show. Ideas for episodes and scenes are developed, written and rewritten. It is a dynamic and collaborative space where the entire working team comes together. By undertaking this project for a second year, Screenworks wants to build the capacity of local emerging screenwriters, provide opportunity for people living and working in regional NSW, and improve our local industry’s capacity and sustainability. To apply for the program, applicants need to be a resident of the Northern Rivers and have an up-to-date Screenworks membership. The opportunity is most relevant to writers of television content and more specifically TV drama or comedy series. Four applicants will be selected by an assessment panel of screen industry professionals. The successful applicants will have their travel costs, accommodation and expenses covered as part of the program. Details of Inside the Writers Room, the online application form and other relevant information can be found on Screenworks website (www.screenworks.com.au/itwr). Applications close at 5pm on Thursday 26 November. Inside the Writers Room is being delivered with the support of NSW State Government funding from Screen NSW.